What is your favorite sweet thing to eat? Bread pudding? Chocolate chip oatmeal cookies? A smooth and creamy piece of cheesecake? Tell us all about the anticipation and delight of eating your favorite dessert. Not into sweets? I like sweets, no doubt about it. When I saw today’s writing prompt I thought “this is gonna be easy!” I’ve been offered the widest variety of sweet treats you could ever think possible. Baked treats, frozen treats, homemade or bakery fresh; I’ve always enjoyed a good snack and rarely have I said “no” to dessert when dining out. Not only that, I’m a baker. I love baking for family, friends, coworkers. I even bake things that I don’t enjoy eating (cheesecake). But my favorite, all time favorite sweet to eat: The Hershey Bar. Plain, simple, single serving candy bar. I don’t need the king size or the snack size. I don’t enjoy the new “drops” candy that’s come out recently–it tastes kind of waxy to me. 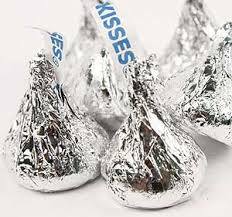 Then there are the Kisses. Again, just the plain, milk chocolate variety is all I need–no giant Kiss for Valentine’s Day or Easter. The regular size in the silver foil wrapper are the best. (In a pinch I’ll go with the caramel-filled ones, but that’s the only other one I’ll eat). 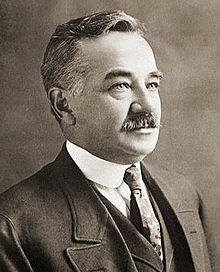 Today’s thank you goes out to Milton Hershey, American confectioner and philanthropist; who 110 years ago produced the very first Hershey Bar. I wouldn’t want to live life without them! Pour some sugar on me: Daily Prompt | ALIEN AURA’S BlOG: IT’LL BLOW YOUR MIND! Bread, butter, salt or sugar. | Just smile, and let the whole world wonder why.